Color, from the aurora borealis to the pine forests of Finland, is what Friday night’s Cincinnati Symphony Orchestra concert was about. It was also about premieres, a CSO debut and a homecoming, the return to the Music Hall stage of principal trumpet Robert Sullivan. 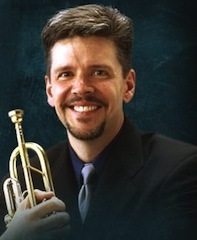 Currently on leave of absence as professor of trumpet at Northwestern University, Sullivan was soloist in the CSO premiere of American composer William Perry’s Trumpet Concerto (1985). Making his debut with the CSO was Venezuelan conductor Rafael Payare. Just 33, Payare led with total assurance, whether it was Sibelius’ Symphony No. 2 or Canadian composer John Estacio’s “Borealis” (1997), also a CSO premiere. Sullivan put lots of character into Perry’s Concerto (composed for Sullivan’s teacher Armando Ghitalla, long-time first trumpet with the Boston Symphony). The first movement, Jazz Promenade, was carefree and playful, with a sleek little love song tucked in the middle. Sullivan took up the flugelhorn for the second movement (Ballad) for a mellow, coaxing sound. This lovely movement unfolded over lush orchestration, Sullivan ending on a dreamy high note. Sullivan was back on trumpet for the final movement “Carnival!” (marked “Con Rio Brio” in keeping with its Latin beat). He was nothing less than macho here, negotiating its catchy rhythms and virtuosic passages with utter mastery. Always popular with CSO audiences, Sullivan received a rousing ovation from the crowd. Using one medium to express another is tricky, but Estacio’s evocation of the aurora borealis invested every bit of instrumental color in the process. In two distinctive movements, “Borealis” is scored for large orchestra, including a huge battery of percussion. The first movement, “Borealis,” opened with a swirl, the strings sliding between pitches to convert one chord into another (an analogy, said the composer, to the aurora’s “bending curtains of light”). A two-note motif was passed around amid clashing sonorities and it built to a climax, followed by wondrous sounds in the percussion (bass bows drawn against the two vibraphones, amplified for even greater effect). The second movement, “Wondrous Light,” was dance-like, opening with a sprightly oboe melody taken up by the full orchestra and eventually transformed into a chorale. It made for a stirring performance and earned the composer, who was present, a warm round of applause. Payare, who got his start as a student of José Antonio Abreu, founder of Venezulea's famed "El Sistema" music education program, had the orchestra and the audience in his corner all evening (during silences in the music, you could hear a pin drop in the hall). Winner of the 2012 Malko International Conducting Competition in Copenhagen, he conducts with sweeping gestures and a precise and expressive left hand. The CSO musicians responded to him naturally and gave him their finest playing. In the opening movement of the Sibelius (which he conducted from memory), he conjured the majesty of the composer’s native Finland with ease and flow. The second movement, a darker one, saw dramatic contrasts between big statements and gentle ones, Payare taking long pauses to re-craft the mood and texture of the music. The scherzo featured lovely solos by principal oboist Dwight Parry and built the pitch of excitement needed to transition smoothly into the finale. The burst of brass that opened the finale was thrilling, but Payare saved maximum intensity for the recapitulation and, indeed, for the end of the Symphony, with its spine-tingling brass summation. Payare opened the concert with Rimsky-Korsakov’s “Russian Easter Overture.” All of the liturgical and festive color was there but, again, Payare saved the peak of excitement for the glorious, percussion-laced ending. Notable were the many fine solos by the CSO musicians, including concertmaster Timothy Lees, associate principal cellist Daniel Culnan and trombonist Nathan Zgonc.